James Piorkowski, in recital, featuring his original arrangements and compositions. April 13, 2018, Fricsay Hall of the Faculty, Szeged University. A collaborative concert with the BOLEO Quartet, featuring the Guitar Quintet, Opus 143, by Mario Castelnuovo Tedesco. ​March 5th, 3:30 PM, at the Unity Church, 1243 Delaware Ave., Buffalo. Tickets ($12 and $5) available at the door. 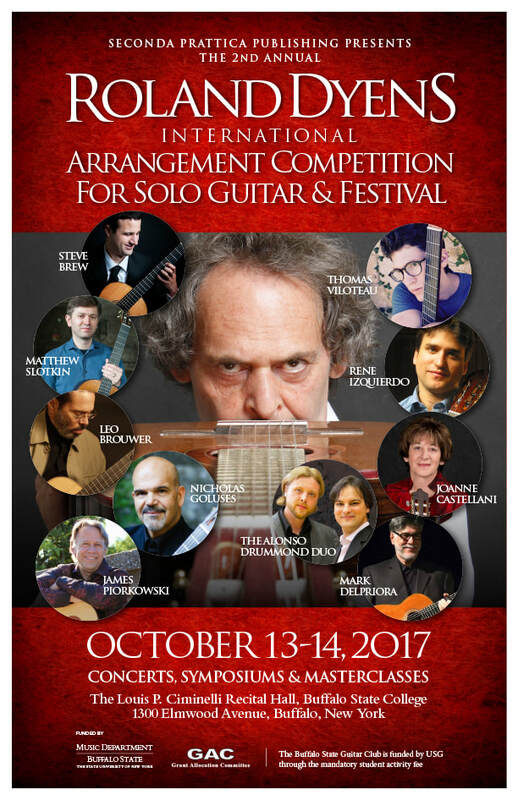 Starting August 2nd, James Piorkowski will again be serving as guest faculty at the Keene Valley Guitarist-Composer Workshop. This week-long workshop is led by Matthew Dunne, and is designed for student guitarists and composers who are interested in composing and performing their own music. We will work on specific exercises to improve creativity and compositional technique, and will explore issues central to developing a personal style on our instrument. Trinity Guitars, 800 West Third Street, in Jamestown, NY. Call (716) 665-4490 for your free tickets. ​the show this month will feature classical guitarist/composer James Piorkowski. After being out of print for many years, James Piorkowski's composition, Freedom Flight, written for flute and guitar, is once again available via Seconda Prattica Publications. James Piorkowski's The Composer and the Guitarist solo recital on Sunday, October 11, at 3:30 PM. Oneonta First United Presbyterian "Red Door" Church, 2 Walling Avenue (at corner of Main St.), Oneonta, NY, 13830. For more details, phone: (607) 432-7520. Solo recital by James Piorkowski to benefit the Food Pantry Program at the Church of the Good Shepherd, 96 Jewett Pkwy, Buffalo, NY 14214. Friday, October 2nd at 7:30 PM. Call (716) 833-1151 for details. In 2014, Glen Cortese and the Western New York Chamber Orchestra commissioned me to write a piece based on George Bizet's opera, Carmen. Since the opera is set in Sevilla, Spain, it makes perfect sense to introduce the guitar to the mix, and the result is the Carmen Fantasy for Solo Guitar and Orchestra. I gave its premiere performances this past February with WNYCO and maestro Cortese, and it had great success with the audiences. I performed it again in N.Y. City in May, and subsequent performances are currently being planned.